I wanna lay you down in a bed of roses... seeing those roses makes my think about a romantic song of Bon Jovi. Roses are everywhere all over Chartres mostly in spring to summer. In the parks, on the side way and road separator... some people say some of the roses are rarely species or medieval species. Honestly I am no expert in roses so I can't confirm anything about it. But is there anything to do with Parc Andre Gagnon? 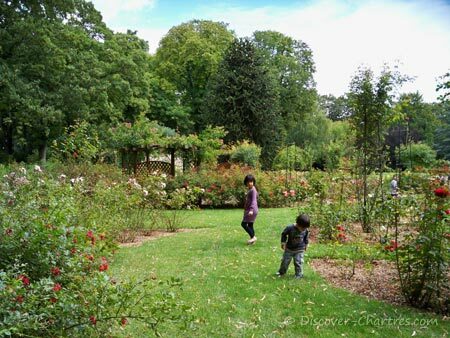 The park is also known as La Roseraie - because there are 65 variety of roses in the park. A paradise for the rose lovers? You judge! 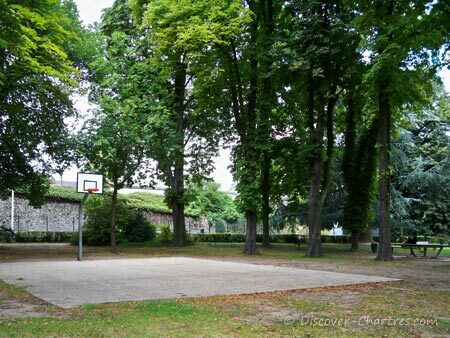 Parc Andre Gagnon was formerly a closed cultivated land consisted of arable land, garden and two buildings as a famous place called Clos Saint-Jean or Clos Pichot. 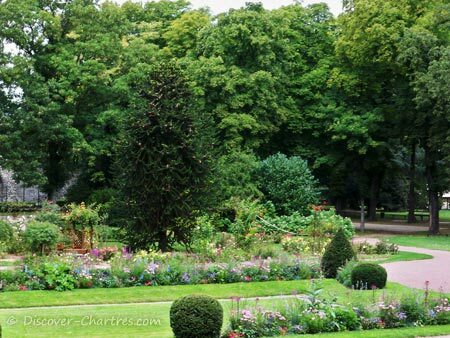 The city council acquired this 2 hectares garden from the land owner, Mademoiselle Pichot, in early 1866 and decided to confirm it to become a real public garden. This was a necessary step to meet the city development planning and the living environment improvement by the city council including plans of public gardens in the Great Meadows and Clos Pichot. The plan has finally done only in 1946 after the second world war. 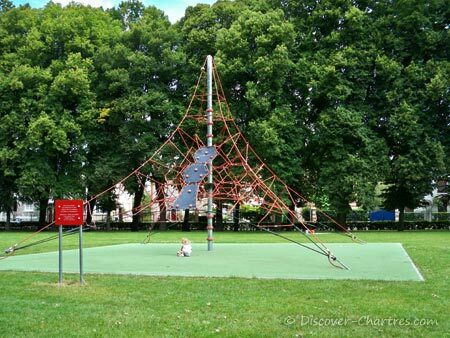 In 1986, the new park officially got its new name as Parc Andre Gagnon, in the memory of the former Chartres Mayor (1945-1947) who died as a hero in Chartres resistance war. What you will see in the park? 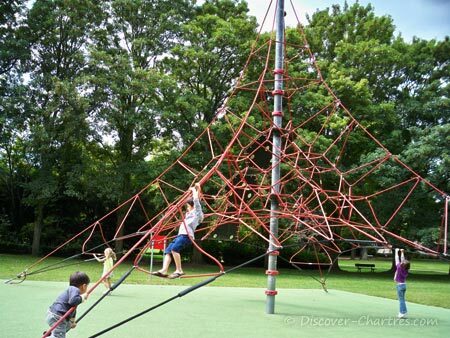 Andre Gagnon Park is located only a few minutes down way from Notre-Dame de Chartres. It takes me only about 10 minutes on foot. The train station could be also a good point direction as it is only 250 m from Parc Andre Gagnon. 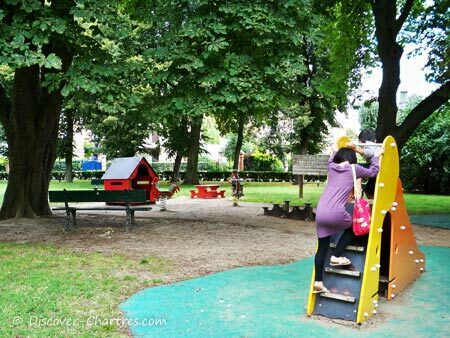 The park has a wide playground where often school children play and do picnics here. My kids favorite...they say it looks like a mini Tour Eiffel. How "high" can you go... my kids love to climb the mini Eiffel Tower! Playground for young children...obviously my young girl loves it too! What makes this park unique is La Roseraie - the rose garden in the central of the park. 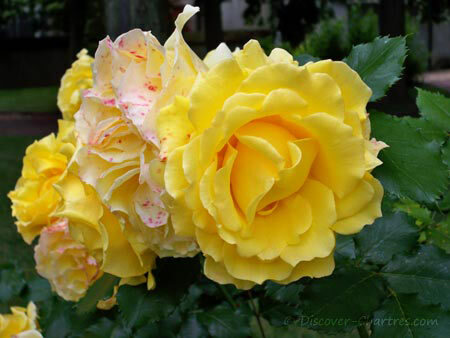 It has approximately 65 different types of roses. 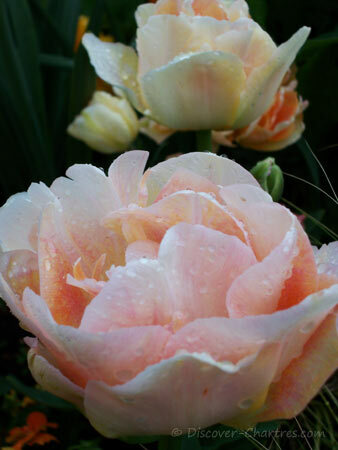 If you wish to discover all those roses collection, just come on early spring to summer time, when the roses bloom. The service agency of green areas alternate the ornamental plants in the park according to season. 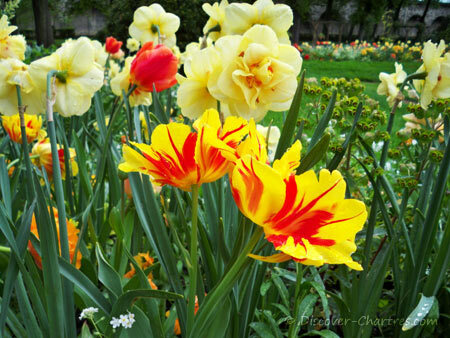 Spring time is the best time to enjoy the colorful flowers - tulips, magnolias, roses off course and still many more. I take many pictures of the beauty of flowers in the center of the park which is composed of massive floral - tulips are my favorite! Or sometime run over there just after the rain to catch the best images of the raindrops that still remain on the petals of flowers.